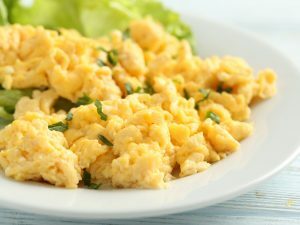 Creamy scrambled eggs: This is the most delightful and creamy egg preparation! 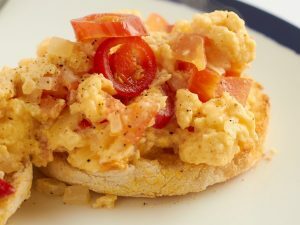 This recipe of creamy scrambled eggs is as creamy and as delightful as you can imagine! You will certainly fall in love with this very ‘professional’ looking and tasting egg recipe. The best part about this preparation is that it can be prepared in just a few minutes without involving any tricky steps. 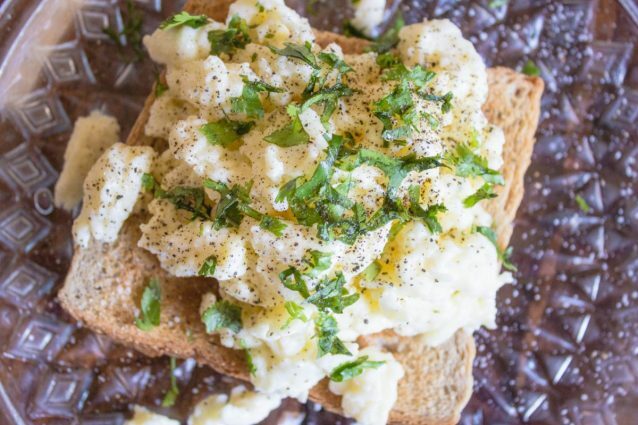 So, surprise everyone at home with this egg preparation for breakfast in bed! Crack open the eggs carefully in a bowl. Add the milk to eggs and then lightly whisk them together so that the mixture is well blended. Heat the butter in a non-stick pan until it just melts. Pour the egg mixture to the pan and cook eggs on low to medium flame while stirring gently with a wooden spatula. Cook eggs for about 4 to 5 minutes so that no large lumps are formed and the egg stays moist and creamy in texture. Do not brown the eggs. This is the perfect time to toast the bread. Now, serve the eggs over toast. 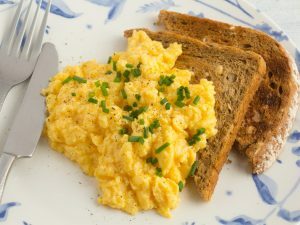 Season creamy scrambled eggs with salt, pepper powder, and garnish of your choice. Make sure to not brown the eggs while cooking. Keep on stirring the eggs gently so that no large lumps are formed. Crack open the egg carefully into the bowl so that no eggshells are accidentally added to it.